Through our work in the community, we at Seeds of Hope have learned that establishing healthy homes can transform and save lives. Our Healthy Home Certification Program was birthed out of our desire to see true transformation and deal with health issues related to water, sanitation, and hygiene in a home setting. The Healthy Home Certification Program enables SoHIP to partner directly with households to develop workable plans that best fit the needs and interests of entire families. Addressing health issues at a household level will, in time, expand to a community level. The program is currently targeted at our Community Health Promoters (CHPs) because of the vital role they play in health-related community interventions. CHPs were considered first because they are the beacons of hope in their communities. They are the familiar faces carrying and promoting the good news of health. The program’s focus is to develop an action plan that describes what qualifies a healthy home: one that prevents diseases and promotes health. Participants in the program encourage one another to raise the health standards of their homes. SoHIP staff trainers facilitate this by providing guidance in identifying potential health hazards in homes, and by formulating initial steps to eliminate the dangers related to water, sanitation, and hygiene. The Healthy Home program runs for a period of six months, at the end of which SoHIP trainers conduct household visits, and homes that meet the criteria receive Healthy Home Certificates. The Healthy Home Certification Program has been very successful—we now have 164 people with certified healthy homes! Establishing a healthy home has incredible benefits for entire families, including decreased hospital visits, a heightened sense of peace and security because of the absence of disease in the home, and ample time to engage in activities that foster social and economic welfare, such as starting a small business. We look forward establishing even more healthy homes in the coming year! The Thanksgiving season is my favorite time of year, because I feel that focusing on thankfulness is incredibly powerful and is a great catalyst for transformation. My last trip to Zambia in September was a time of reaping! Each day, I was so full of thankfulness and felt so blessed to see the fruit of many projects that we have worked hard sowing for years. It had been eight months since my last trip, and I was so encouraged to see the staff and the level of ownership they’ve taken in so many different projects. It was amazing to see the Resource Center transformed, and to hear many great testimonies from our work in the communities. The most amazing experience for me was when I visited a group that Seeds of Hope has been working with in the Mapalo community for over a decade. Everyone in this group of Community Health Promoters was awarded their Healthy Home Certificate. Throughout the years, we’ve struggled to get people to adopt multiple interventions that would truly break the cycle of disease. So, we came up with the idea of rewarding and acknowledging their achievements by helping them to certify their home with all of SoHIP’s interventions. It was a wonderful time of celebration! I was able to address the group, and told them that what they had helped create is now impacting individuals, communities, and nations throughout Africa. We danced, sang, and celebrated their achievements! While visiting the George compound, I met a woman who had received her Healthy Home Certificate, who was kind enough to show us around. She was so proud of her home, her certificate, and her new knowledge, that she has began encouraging all of her neighbors to establish healthy homes as well! A beacon of hope, this woman is now taking part in transforming not just her home, but also her entire community! I wish that everyone who has supported Seeds of Hope could see the fruit that I was able to see on my last trip. It’s amazing what sowing a few seeds of hope can do in an entire community. To be witness to the transformation of lives, see hope restored, and hear words of thankfulness, is truly an honor, and something that will forever be in my heart. ~ and equipped more than 160 people with increased vocational or agricultural skills. 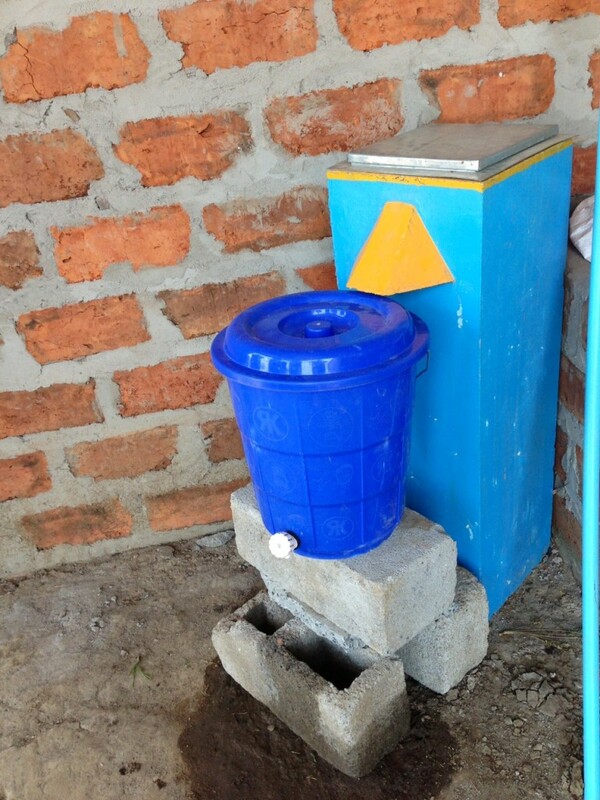 Seeds of Hope is recognized as a global leader in BioSand Filter (BSF) fabrication. 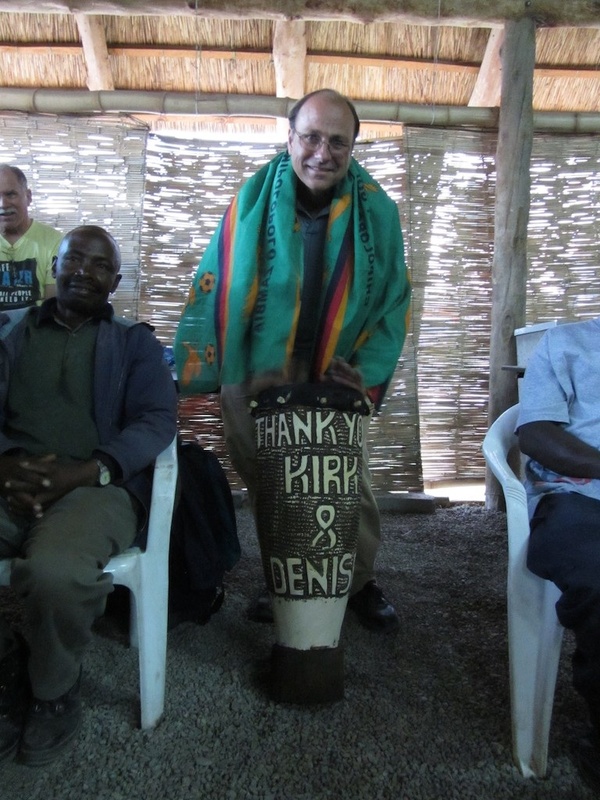 To ensure the greatest benefit to the global community, we recently invited partners, collaborating organizations and other stakeholders to our Ndola Resource Center, to participate in the 2013 Africa Biosand Filter Implementers Network (ABINET) Learning Exchange. The Exchange is a week-long opportunity for BSF implementers and our own Water Expertise and Training Center staff to share experiences and solutions with implementers from other African countries, such as Ethiopia, Uganda, Zimbabwe, Malawi, and Zambia. 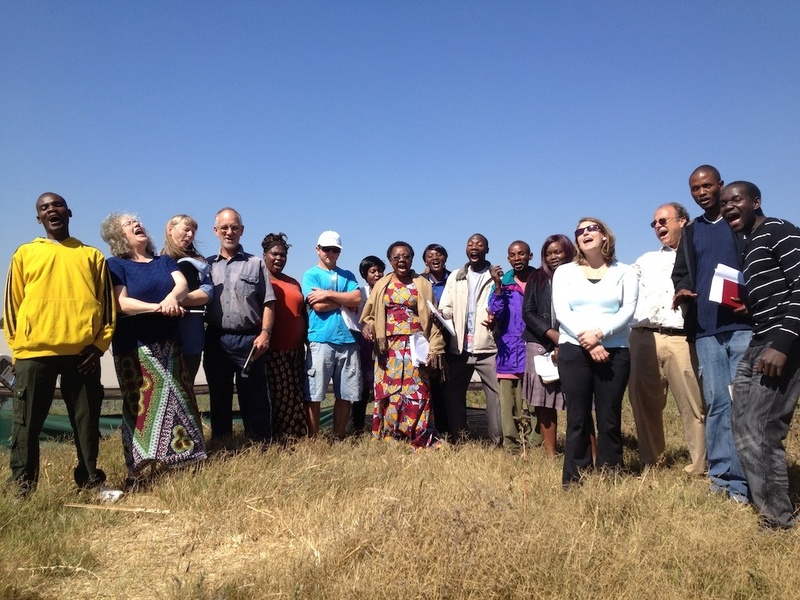 The ABINET Learning Exchange exemplifies many of Seeds of Hope’s ideals, such as our commitment to growth, forward thinking, and unity in the field. This year, attendees learned about the newest BSF technology and household water treatment initiatives worldwide. Also, we have pioneered a large-scale factory model which we shared with those attending, in addition to providing technical consulting support, leadership and implementation training, education resources, and networking services to NGOs, government agencies and community groups involved in water and sanitation. This year’s ABINET Learning Exchange was a rich time of cross-pollinating and networking which will strengthen water treatment initiatives throughout the world. 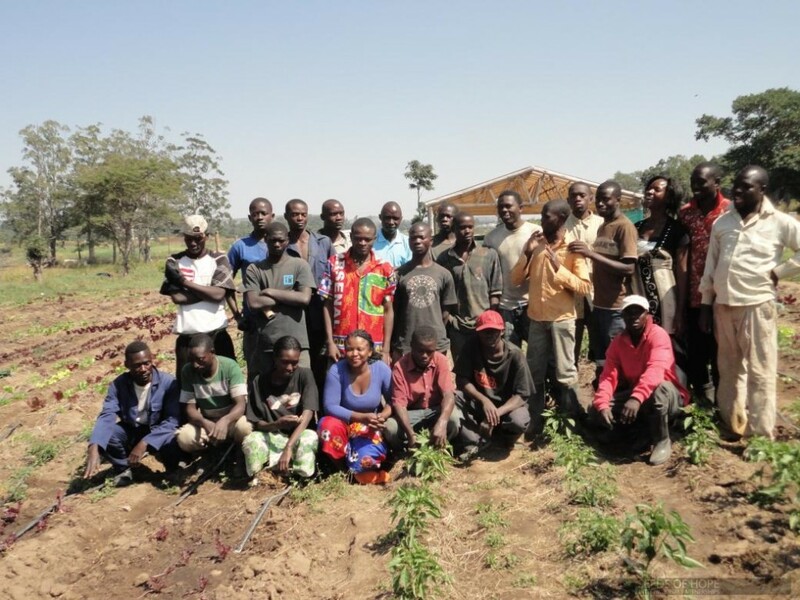 Last year, Seeds of Hope’s Agriculture Department (AG) graduated 30 students from its first-ever “Farming as a Business” class. 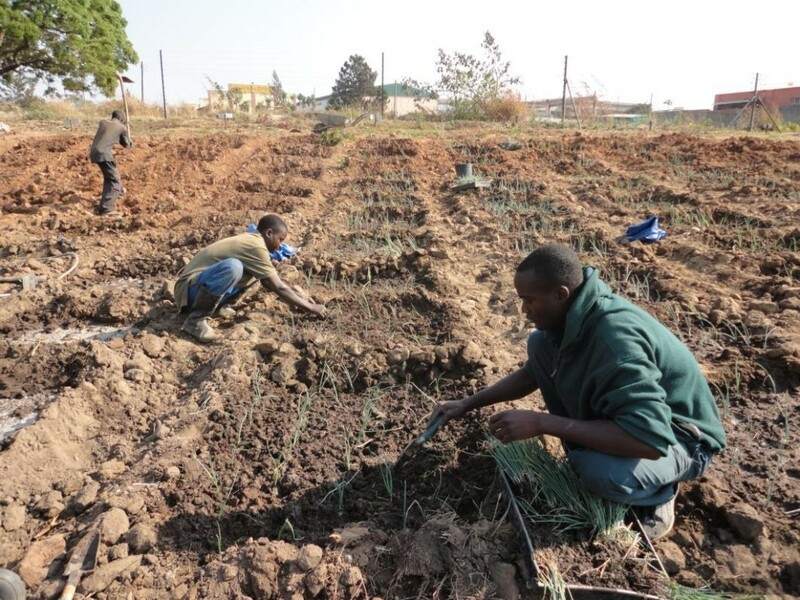 Students took part in rigorous in-field and classroom training, and now have the skills either to begin farming cooperatives with the Zambian government, or to establish their own small scale farms. Of course, ongoing support and consultation is key to success when new skills are being used for the first time in the real world, so each week since, members of our AG staff have visited graduates to offer both. A handful of the graduates have even worked so well with our staff, and shown such diligence and competence, that we have hired them for the SoHIP Farm. 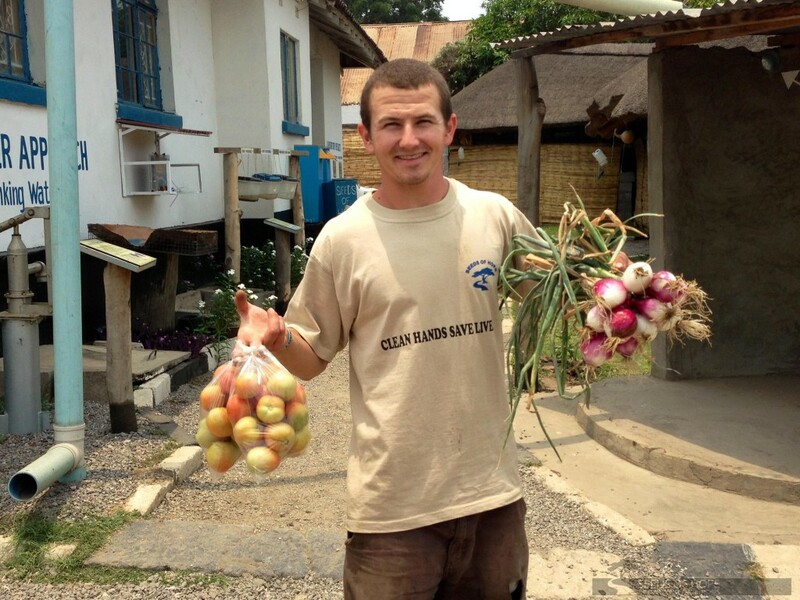 SoHIP Farm is always working to improve production and sustainability. Right now, we’re conducting research in the three-crop model, a strategy of crop rotation based on growth time. Ideally, farming cooperatives want toalways be harvesting something, so there is never a major delay in production, or dip in income. Here’s an example of how it works: one of our research groups has planted green beans, carrots, and tomatoes. If everything goes well, once the green beans are harvested, the carrots will be coming, and once those are picked, the tomatoes will be ready. Then the cycle will repeat with different crops, based on seasonal rotation. This research comes alongside a concentrated effort to maintain detailed profit-vs-loss records, both as part of training for business students, and to track internal progress, in an effort to become completely self-sustaining. Seeds of Hope works to reverse the downward spiral of poverty by empowering Africans through hope and a strategy of holistic development. This approach is based on the idea that lasting, long-term growth requires simultaneous efforts in multiple interrelated areas. We have seen, for example, that poverty continues in Zambia because of three things: unsafe water, malnutrition, and the inability to secure income. To address only one of those areas would improve the situation temporarily, but the other two would creep in. For people to truly thrive, each of these areas requires attention in symphony with the others. Seeds of Hope’s pioneering holistic approach includes programs focused on water, sanitation, health education, agriculture, vocational training, and business development. This approach culminates at our Ndola Resource Center, which serves as a community hub for inspiration, opportunity, and development. Here, we address the many needs of the community by demonstrating innovative solutions, and through vocational skills classes, laboratory access for quality testing, health education workshops, agriculture training, and water intervention. Seeds of Hope is teaching people—both local and international—to think holistically about the layers of issues and solutions, and how to best implement lasting, life-saving changes. Seeds of Hope would like to highlight Mountainbrook Community Church for their continuous support! A SoHIP Champion, Mountainbrook has supported Seeds of Hope for nearly a decade from California’s central coast. Mountainbrook’s support includes sending teams to Zambia, running holiday campaigns, and showcasing SoHIP displays in their church foyer. Furthermore, Mountainbrook’s faithful friendship and support have helped bring clean water to over 5,000 Zambians, through the sponsorship of five water wells, 445 BioSand Filters, three support teams, a drill rig, and two shipping containers packed with necessary items for SoHIP Zambia.In fact, Mountainbrook is currently packing a third shipping container, filled with over 275 bicycles, as well as computers and sewing and drilling supplies. Thank you, Mountainbrook Community Church, for your cheerful giving. It is changing communities and saving lives. Did you know that the ancient Romans enjoyed a higher quality of drinking water than half the people alive today? Or that more people alive today own a cellphone than have access to a toilet? These basic human rights, like access to safe water and sanitation facilities, are what Seeds of Hope and thousands around the world are working to bring forth on the planet! 1. Give up a favorite beverage or activity and donate to SoHIP the money you would have spent to provide safe water. 2. Participate in Bible studies or devotionals created by Waiting For Water’s Christian writers and pastors. 4. Contribute to giving the gift of safe water, and celebrate Easter like never before! Visit www.waitingforwater.org for more information, downloads, and to watch their “Waiting 2013” promotional video. Seeds of Hope would like to see you turn 2013 into the Year of The Champion! Significant contributions of time, resources, and expertise by Champions are needed to continue the great work Seeds of Hope is doing! Champions come in all shapes and sizes- adults, teens, churches, experienced workers, office volunteers, philanthropic organizations, and so on. Simply put, a Champion is an individual or group who fights for or defends a person or cause; an advocate. 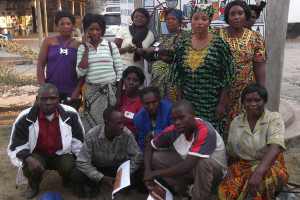 You can become a Seeds of Hope Champion, save lives, and be featured in our monthly newsletter and on our website by (1) joining us in celebrating that everyone has valuable skills, talents, and gifts, (2) identifying what you have to offer (time, funds, items to donate, a shipping container to host and pack, leading a team to Ndola), and (3) contacting us at info@sohip.org with your ideas. Ultimately, our combined efforts will be able to make lasting changes in African communities. Orley Campbell (Retired) donated a drill rig, taught SoHIP Staff. Jake Sherley (Firefighter) gave his time and heart while serving SoHIP Zambia as well as raising funds for BioSand filters and water wells. David Mann (High School. Biology Teacher) innovated laboratory tests for BioSand filter improvements. Young Philanthropists (elementary students) moved by their Zambian peers’ needs, raised money to bring clean water to a new community. Churches packed and sent shipping containers, sponsored vocational students, hosted fund-raising events, purchased textiles, sent missions teams. Become a Champion today. SoHIP and Africa need you. In the coming months the Newsletter will showcase Seeds of Hope’s unique approach to community development and changing the lives of people in Africa. Many organizations do a great job of bringing safe water, drilling boreholes, and/or raising awareness, but Seeds of Hope sets itself apart in many ways, some of which may not yet be familiar to you. SoHIP is a truly holistic development organization, which focuses on bringing multi-faceted solutions and lasting hope through strategic, long-term approaches to reversing the causes and effects of poverty in people, communities, and regions. 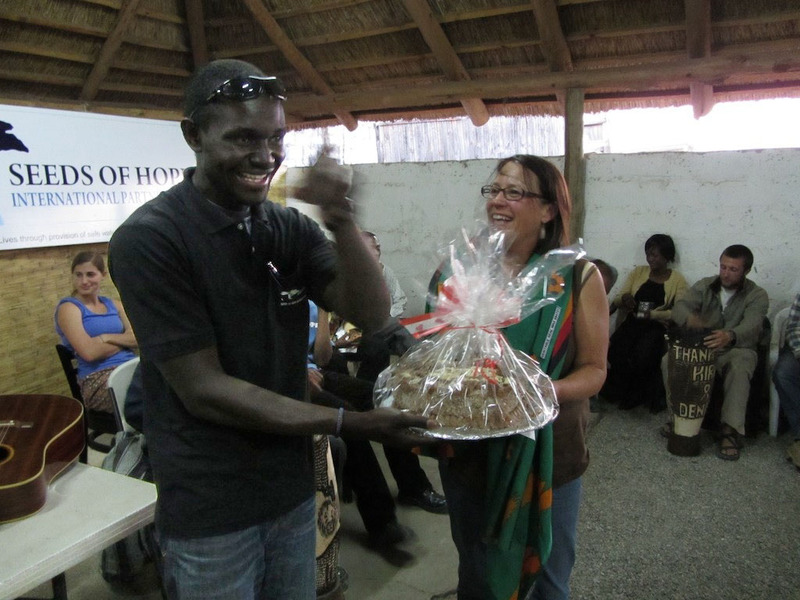 You may not know that Seeds of Hope has over 70 Zambian employees. Or that our staff are being flown to other countries to train various governments and non-governmental organizations (NGO) across southern Africa. Or that Seeds of Hope hosts international learning exchanges, bringing water solutions experts together to share remedies, challenges, and lessons. Or that SoHIP drillers are among Zambia’s most skilled, qualified water well developers. Seeds of Hope is on the ground, run by nationals, and empowering people with the skills, training, and information they need to transform their lives and their communities. Every SoHIP department demonstrates organization’s values—from the compassionate hands of staff when delivering BioSand Filters, to the transparency and accountability of our bookkeeping. Our transparency is upheld by SoHIP’s status of being one of the few NGOs in Zambia with audited books and certified accountants. We look forward to sharing in 2013 what makes Seeds of Hope so unique. 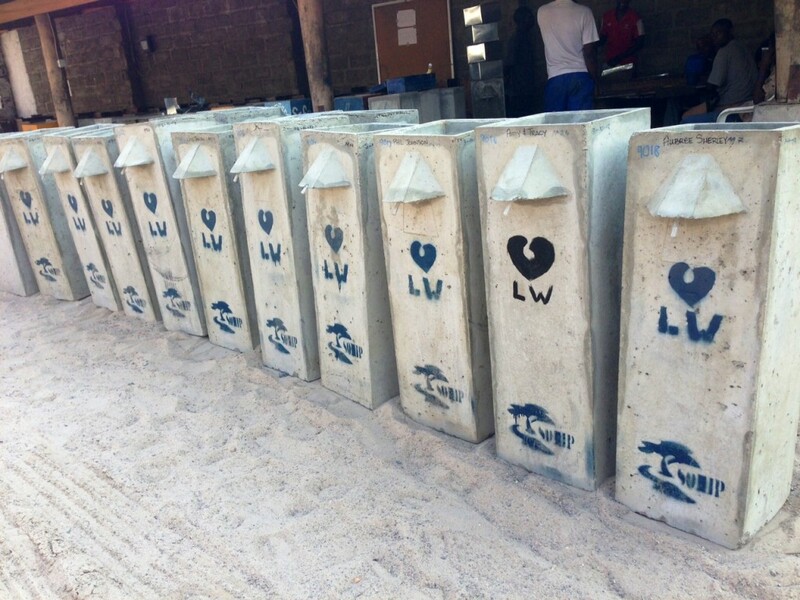 Impacted over 22 nations during local and international water, sanitation, hygiene, HIV/AIDS, and community trainings. Each year on October 15th, over 200 million people in more than 100 countries are involved in Global Handwashing Day (GHD) celebrations! Handwashing with soap is the most effective and inexpensive way to prevent diarrheal and acute respiratory infections, which take the lives of millions of children in developing countries every year and, together, are responsible for the majority of all child deaths. Despite its lifesaving potential, handwashing with soap is both seldom practiced and difficult to promote. Seeds of Hope works to teach proper hygiene and sanitation through community workshops, and tippy-tap trainings and installations. We are working to create simple changes in handwashing behavior that are critical to meeting GHD’s Millennium Development Goal of reducing deaths among children under the age of five by two-thirds by 2015. Seeds of Hope is working to strengthen the Resource Center. Currently, a shipping container is being filled with bicycles, an old army truck, sewing machines, and other needed supplies. Please check the list of items needed and see how you can contribute to this container! You can mail in or drop off donations in San Luis Obispo or Redding, California. We greatly appreciate all donations. However, we cannot currently accept books, clothing, or used shoes. For more information, or to become a monthly supporter, call the SoHIP office, M-F, at: 805.439.1489. Recently, Seeds of Hope International Partnerships has crossed a major threshold where we have brought clean water to over 500,000 people living in Zambia. To put that into perspective it is 1/20th of the population of Zambia. Seeds of Hope’s farming training is just about to start with 25-30 students! 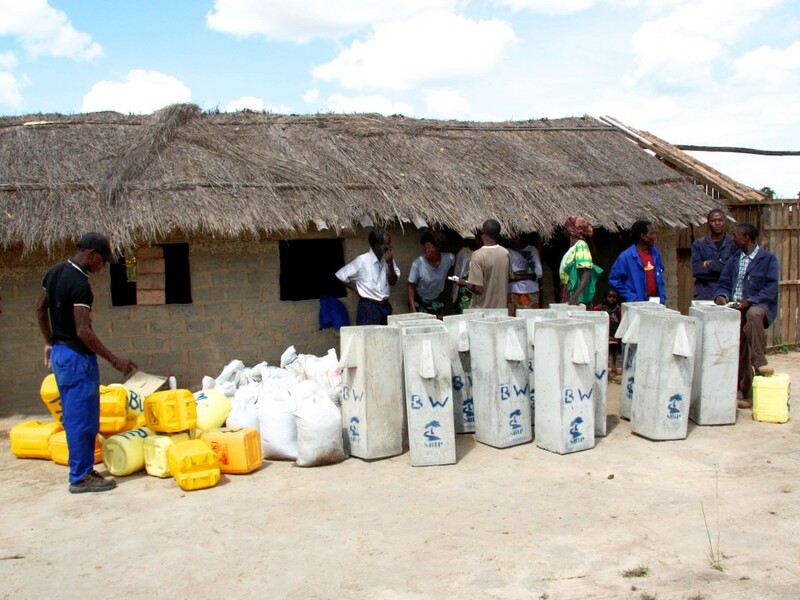 We have distributed over 5000 biosand filters into needy communities in Zambia. It truly has some amazing properties and attributes. The details of how it works can be viewed here. As an intervention that can be used in the communities and excels in several arenas. 1. It is able to be built locally. Local cement, local labor, local sand. 2. It can be installed inside peoples homes, in fact it is preferred installation to be right in the area that people are preparing their food and storing their water. 3. When you pour water into it to purify the water it actually is reported (by the people we give them to) as improving the taste of the water that is poured in. 4. The concrete filter adds a cooling effect to the water and people also prefer it because it is more refreshing than other methods to clean your water. 5. The filter is “point of use” which means that it filters right before you use it, which solves some of the problems of recontamination of the water before you actually drink it. 6. It last a long time, there are filters that have been working over 20 years and the sand never needs to be replaced. 7. It is easy to clean when it does get clogged it is a simple swirl and dump to start it working like new again. 9. It has the ability to be scaled up to do larger volumes of filters. The resource center that is at the core of the vision of Seeds of Hope is well on it’s way to being established. We are training in Bicycle repair and it has been added as an additional spoke of the wheel of our resource center. This month we highlight the bicycle repair ministry so that you can see what we are doing in Zambia. Goreth’s home is in Nkwazi with her grandmother. She has also been working in SHIP’s sand filter factory for about 1 year. She is another one who found training to be a challenge when it commenced as, like her fellow participants remembering tool names and bicycle parts proved difficult. However, now she has grasped the information and is very happy because she can service the bicycles by herself and do road tests. She continues everyday to progress in her abilities to repair bicycles better. 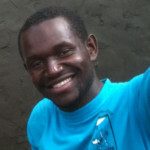 Brian lives in Mapalo compound, is married with children and also takes care of his brother. 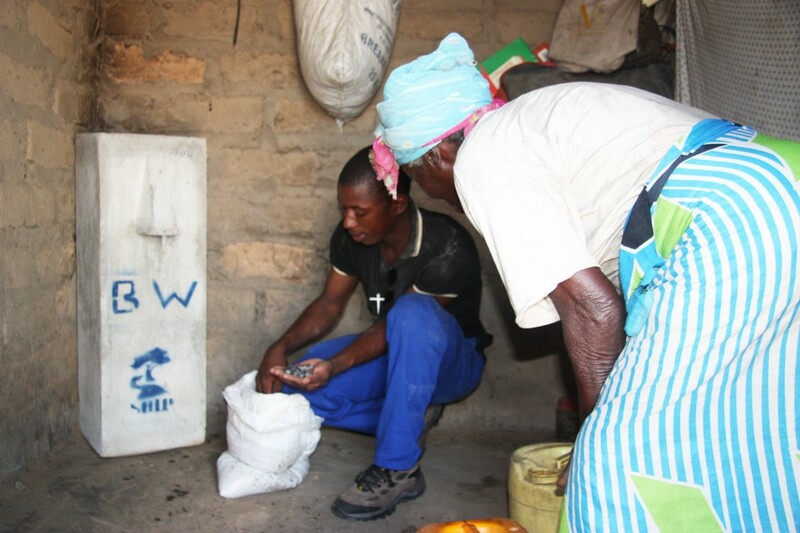 He has worked making blocks for Seeds of Hope as a contract laborer for about 6 months. He said that it was difficult for him to understand the different tools and their uses but as the days went by he began understanding and he now feels happy about his new found ability to repair bicycles. He also thanked Seeds of Hope and its partners for the training that they are providing. It provides an income “in-country “ for seeds of hope’s projects. It provides quality bicycles to organizations and people in Zambia that will help break the chains of poverty in their lives. We have helped ministries that train bee-keepers, agriculture trainings, health workers, pastors, and many other working in communities become more effective by the things that we are doing. SMART DEVELOPMENT cast the vision!! 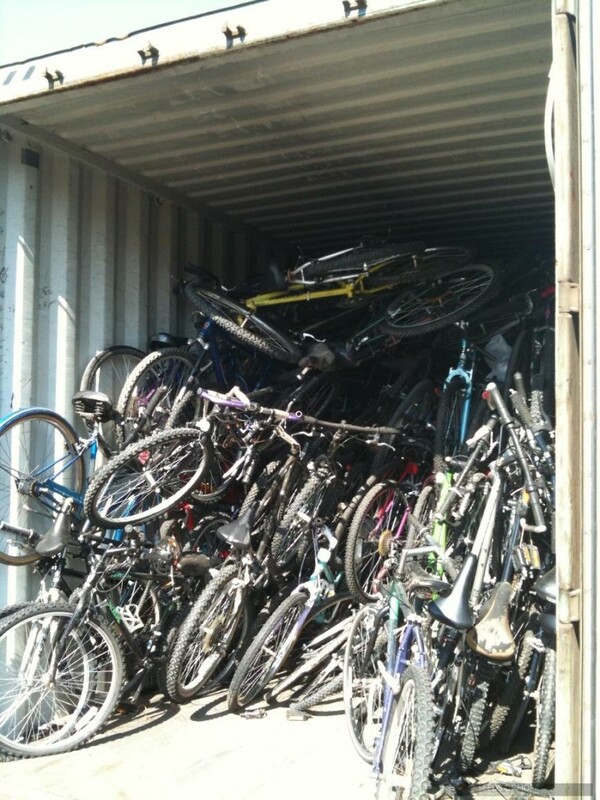 About 400 bikes fit into a container like this and we are collecting them right now! This month I am taking a moment to personally inform you of some very exciting news! As the Founder and Director of Seeds of Hope I have been privileged to be a part of each step of the Seeds of Hope journey since 2003. Four years ago I expanded my role to include serving as the Zambian Director and since then we have seen God do many incredible things! We have been part of changing the history of many villages, households, and individuals as we bring Hope in Christ through clean water, education, and agriculture. As an organization, Seeds of Hope Zambia has grown to 66 employees, successfully passed a financial audit and diversified our financial base to include a larger percent of income from in-country sources. We have become a WASH (Water, Sanitation and Hygiene) Center of Expertise (WET-C) in our region and are now training throughout Africa. Seeds of Hope U.S.A. needs our attention. We have chosen to build in Zambia and Zambia has steadily grown, but the US side has yet to experience such robust growth. This change will allow us to develop SHIP US’s capacity and Champions base, establish internships, raise additional funding, and boost SHIP’s initiatives and future projects. My family and I are in the process of relocating to the United States this month and making our new home in Redding, California where I will continue my work as International Director, taking multiple trips to Zambia each year. The department heads and senior leadership team in Zambia are stronger than it has ever been. 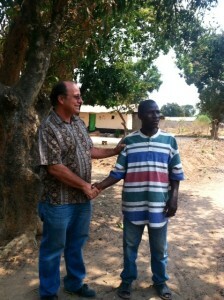 I am excited to see our staff take more ownership of our Zambian projects! 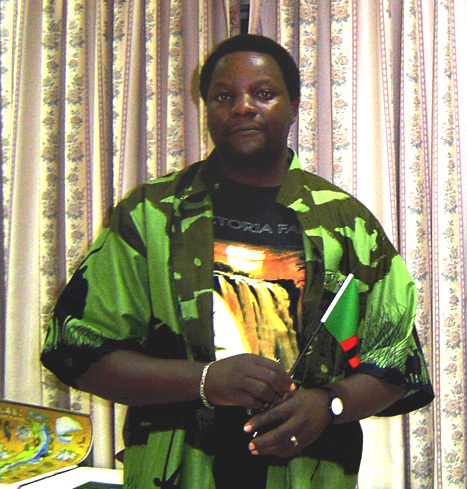 I will be gone from Zambia for about six weeks and then return in late September to evaluate the first phase of the transition. My next chapter will be focused on building SHIP U.S.A. into a flourishing base and increasing the reach of both the U.S.A. and the Zambia offices. Together, through our strategic partnerships, we will take the next steps to develop Seeds of Hope U.S.A. into a vibrant international organization. We will do this through increasing our visibility and strengthening our funding base by showcasing our financial stewardship and maximizing Champion involvement. We are committed to seeing hope transform nations through practical solutions, empowerment, and God’s love. We feel these are the next steps in building a strong foundation for SHIP. 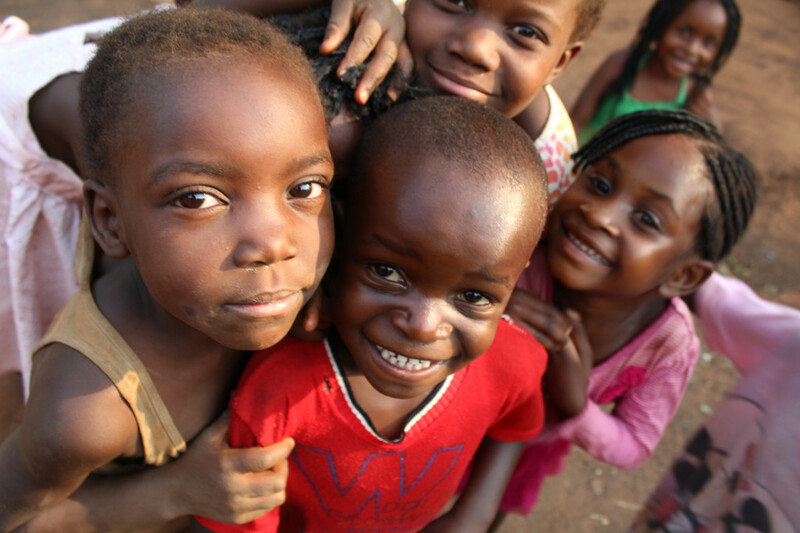 Our goal is to see Seeds of Hope Zambia mature into helping their own people and others around the world. I am filled with anticipation because this transition is a necessary step in achieving that goal. We are expectant and excited for the coming transition and fulfillment of God’s promises for Zambia! Thank you for your consistent support; join us in rejoicing for this wonderful opportunity to shift Seeds of Hope into the next major stage of development! Remain steadfast in prayer as we continue to follow the Lord in this journey. Department Heads saying, “Help Lord!”, Kirk’s favorite prayer. Click to see how we bring hope and holistic solutions! "For I know the plans I have for you," declares the Lord, "plans to prosper you and not to harm you, plans to give you hope and a future." Support Seeds of Hope through Amazon's Smile charity donation program.